Place card holder commonly used for party favor made of steel wire as the pin to hold the card of course and other materials as the base. 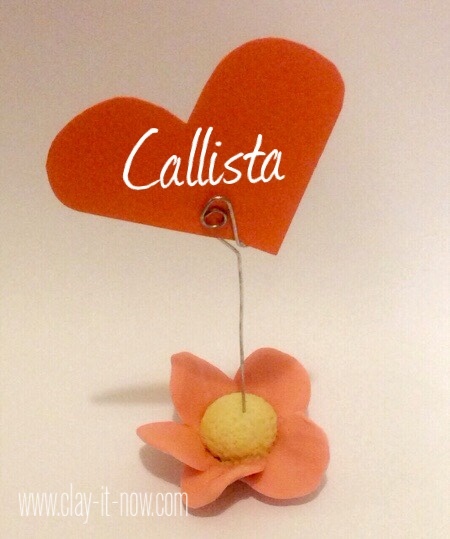 Here is one of the ideas to make the card holder base: simple 5 petals flower. It's so simple to make the base that you can even ask your 5 years old kids to make this. But, not the wire pin to hold the card though. 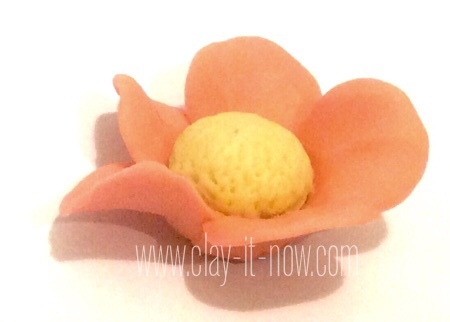 Step 1: Make the simple 5 petals without mold. 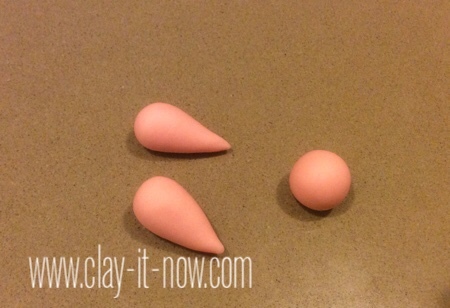 Start with rolling the clay to a ball shape and then teardrop. I have prepared a video on how to make the petal as below. 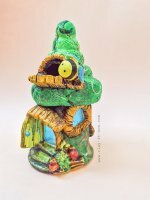 Hope it could help anyone who just started playing with clay. Step 2: Start overlapping the two petals as shown in the picture. 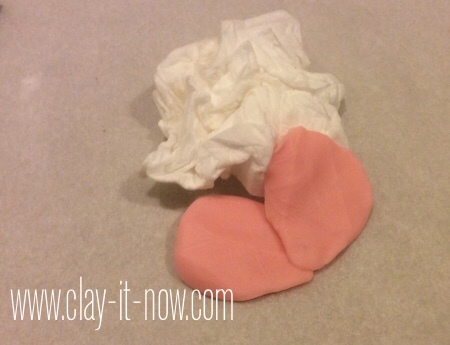 I use homemade clay so it's a little bit soft when it's wet. 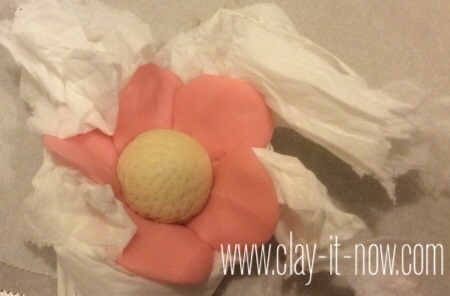 I added facial tissue to the back of the petal to keep its position. 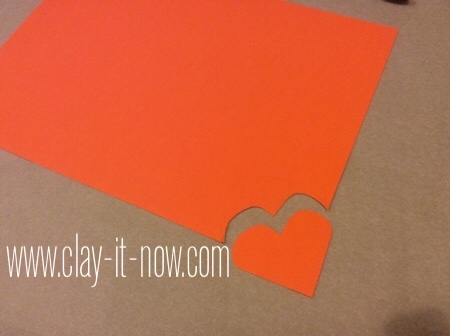 Step 3: Continue overlapping the rest of the petals and keep adding the backing. Arrange the petals to the shape you like and let it air dry. 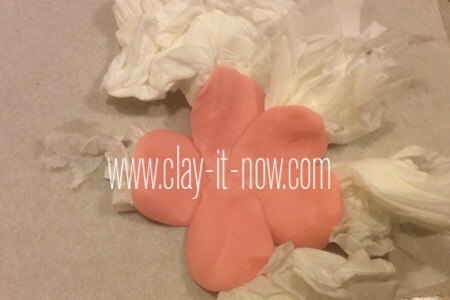 Step 4: Add the center of the flower in different clay color. Use toothpick to pierce the clay. 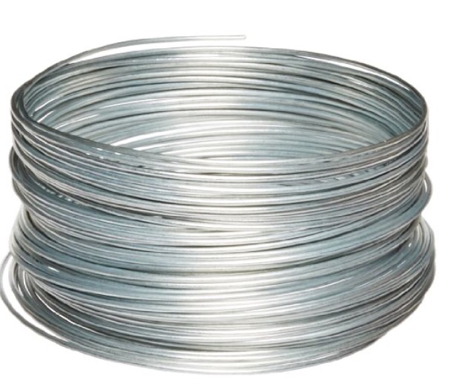 Cut the wire about 3 cm, apply baby oil on it and insert it to the clay, leave the center to dry. We'll use the hole to insert the pin to hold the card later on. Here is our completed flower base. Alright! I used tie wire galvanized steel for the pin. It will cost you about $8.00 - $10.00 for 100ft long. 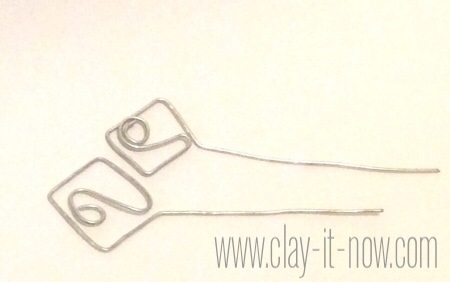 Step 5: It's a little bit difficult to me to describe my step to make the wire pin. You may get bored reading my long explanation. So, I recorded my step in the following video. At the end, you can adjust the length of the pin to hold your card. As for the card itself, you can use stock card or other fancy card to suit your event. I have done two style of card with long and short pin. Here is the place card holder or memo holder with heart shape. I used colored paper.